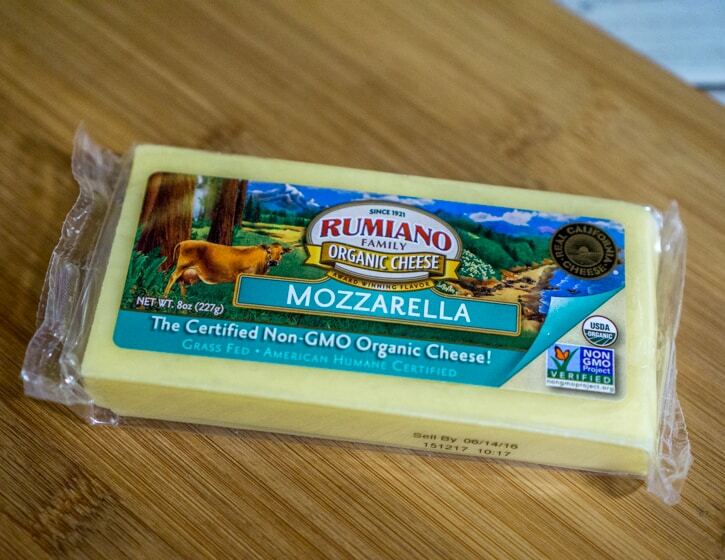 I am excited to partner with Rumiano Cheese again for this sponsored post just in time for Grilled Cheese Month! 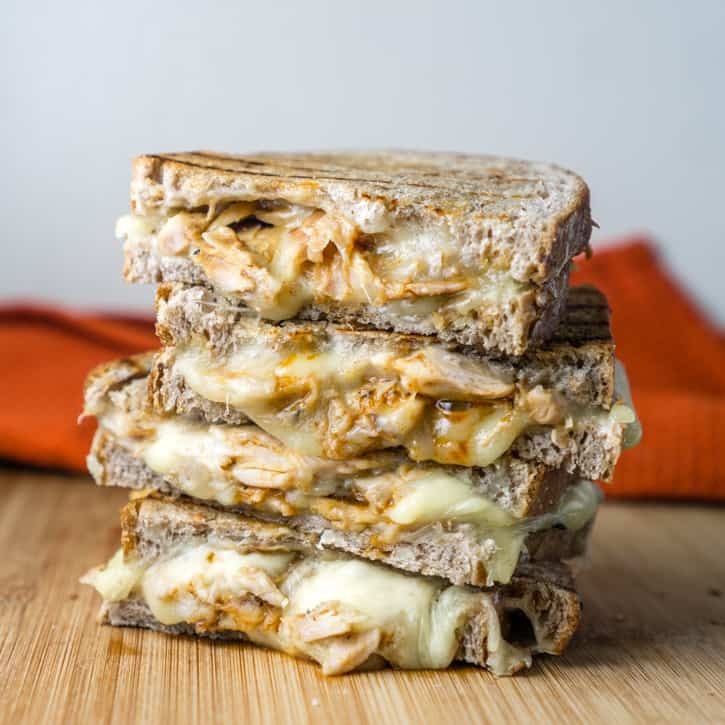 You NEED to get your hands on this saucy, cheesy BBQ Chicken Grilled Cheese Sandwich! But now that we are back home, it’s back to real life – work, laundry, cleaning, cooking. Although I do actually miss cooking – as much as I like breakfast buffets with croissants and prosciutto (hey I am not complaining!!) I did miss being in the kitchen while we were on vacation. 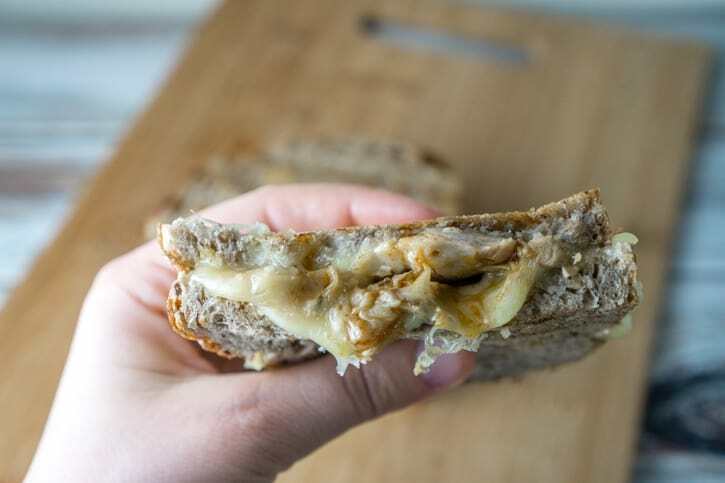 I made this BBQ Chicken Grilled Cheese with leftover chicken, and my oh my it came out so delicious. Rumiano Cheese was kind enough to provide me with cheese, and their organic, non-GMO mozzarella cheese was perfect in this sandwich. The BBQ chicken turned this sandwich into a complete meal. Or should I say a completely delicious meal. The BBQ sauce mixed in with the melted cheese was perfection, and Aldo kept telling me how good this sandwich was after every bite. 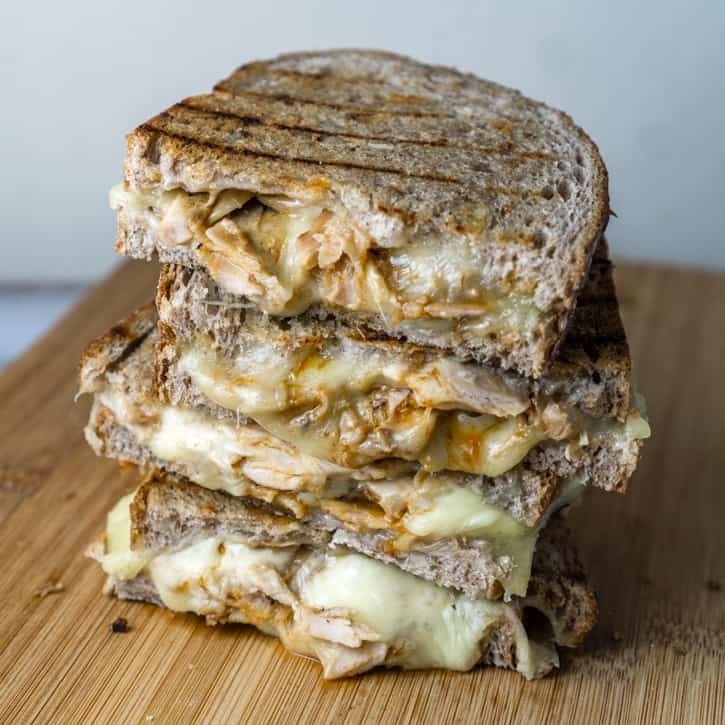 I am entering this BBQ Chicken Grilled Cheese into the Rumiano Grilled Cheese Contest – here’s hoping I win free cheese! You too can enter the contest here. If you enter the contest, I’d love if you dropped me a comment and let me know what your entry was! I am always looking to see new cheesy recipes. Shred the cooked chicken with two forks and mix it with your favorite BBQ sauce. Place a slice of mozzarella on two pieces of bread. Top each mozzarella slice with 1/2 cup of BBQ chicken, then place another mozzarella slice on top and finish off with another slice of bread. Preheat a large skillet and melt 1/2 tablespoon of butter. Place the sandwiches on the skillet. Place something heavy on top of the sandwiches to press them together (a smaller skillet with two cans of beans works great!). Cook on one side for about 5 minutes, or until the bread is toasted and the cheese starts to melt. 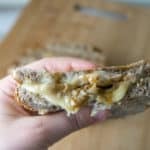 Remove the sandwiches from the skillet, add the remaining butter to the skillet, and carefully flip sandwiches to cook the other side for about 5 minutes, or until the bread is toasted and the cheese has melted. Totally optional: If you wish, preheat a grill pan to high heat and place the sandwiches on the grill pan to get the nice grill marks. 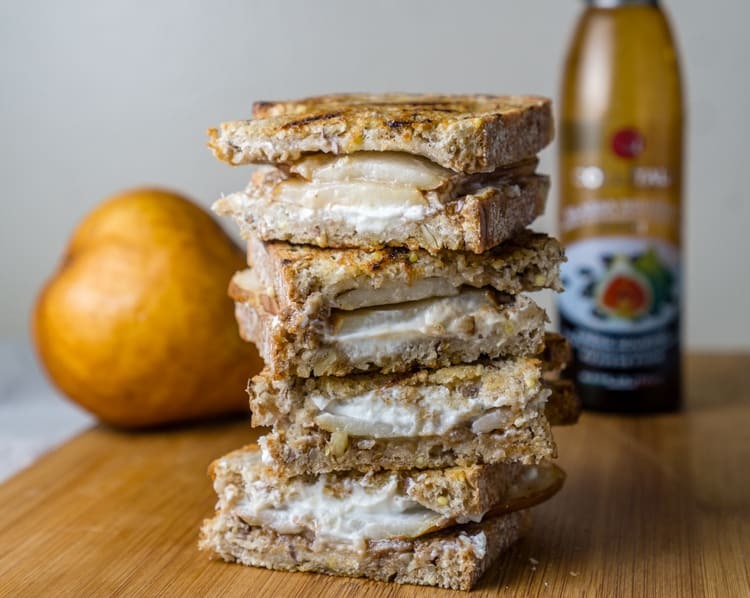 Pear and Goat Cheese Grilled Cheese. Get the recipe here. 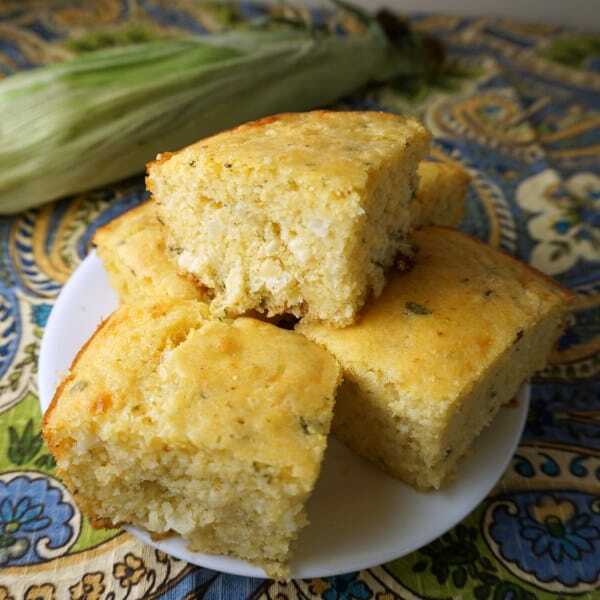 Cheddar Sage Cornbread. Get the recipe here. 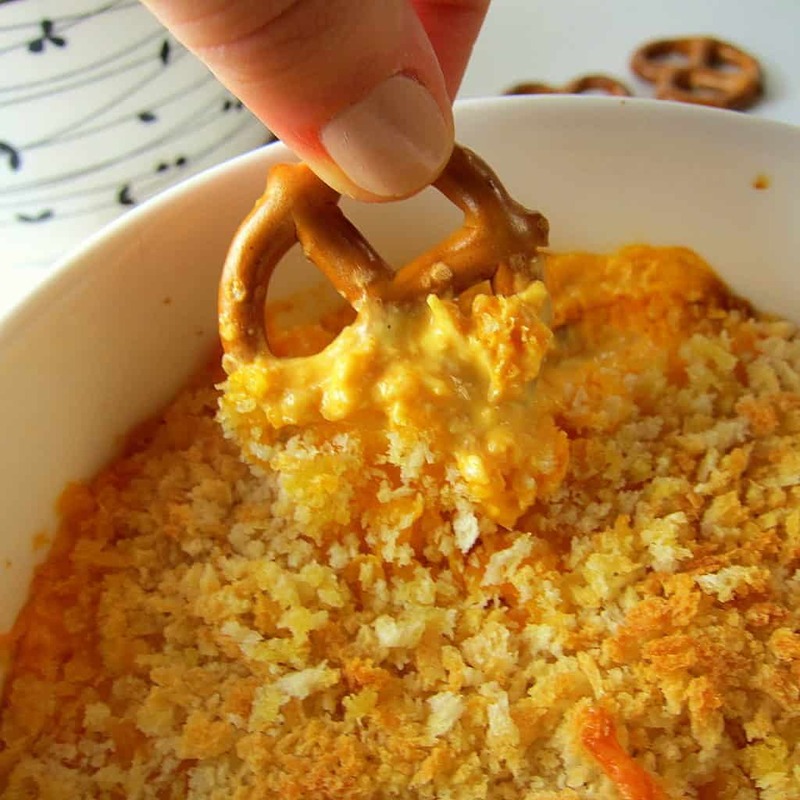 Buffalo Chicken Cheese Dip. Get the recipe here. Cheesy Seafood Dip. Get the recipe here. 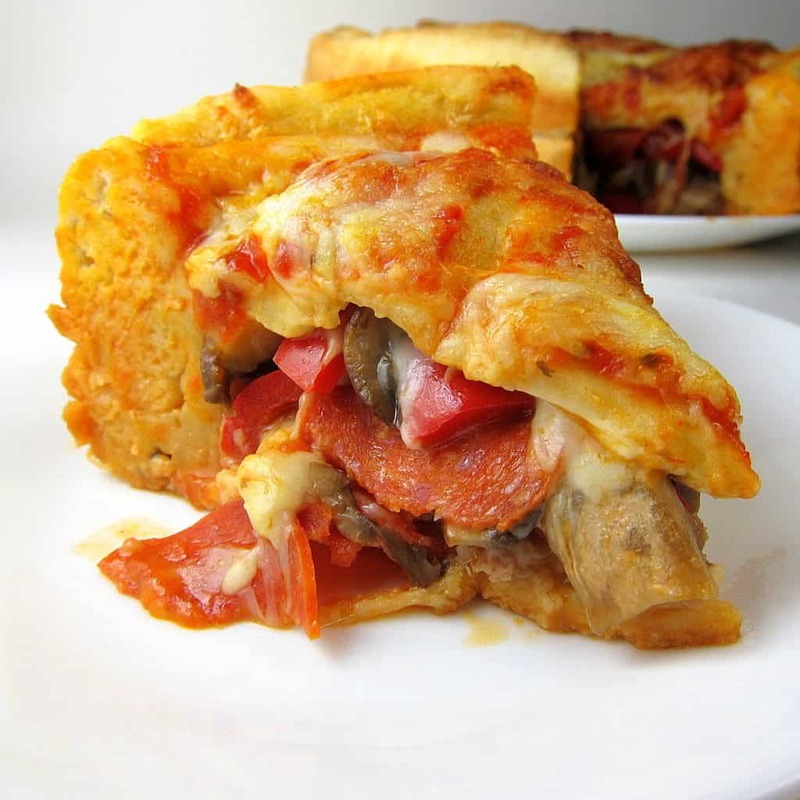 Stuffed Pizza. Get the recipe here. 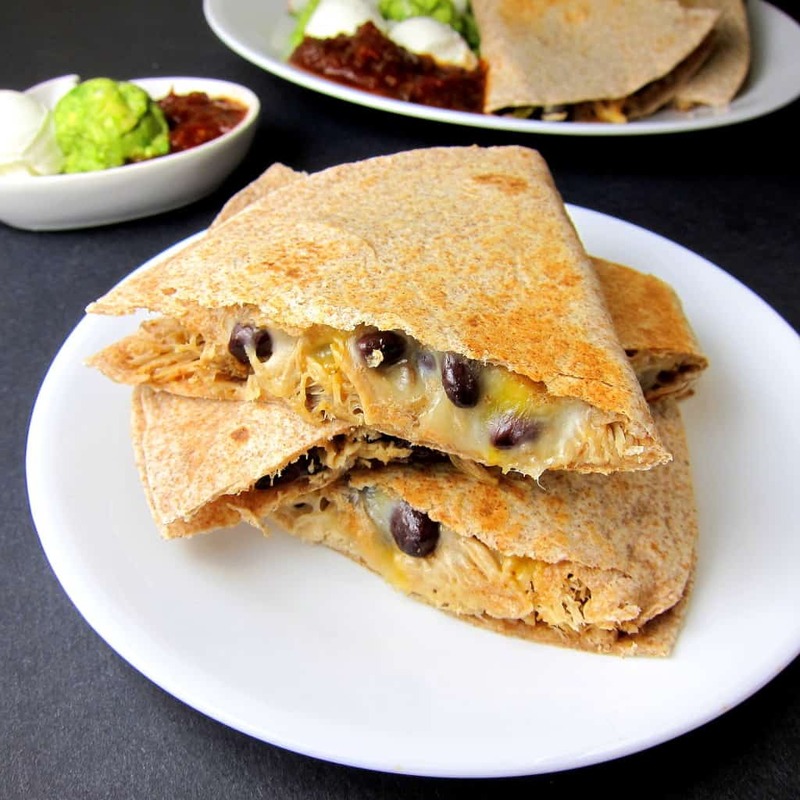 Pulled Pork Black Bean Quesadilla. Get the recipe here. This post was sponsored by Rumiano Cheese. All opinions are my own. 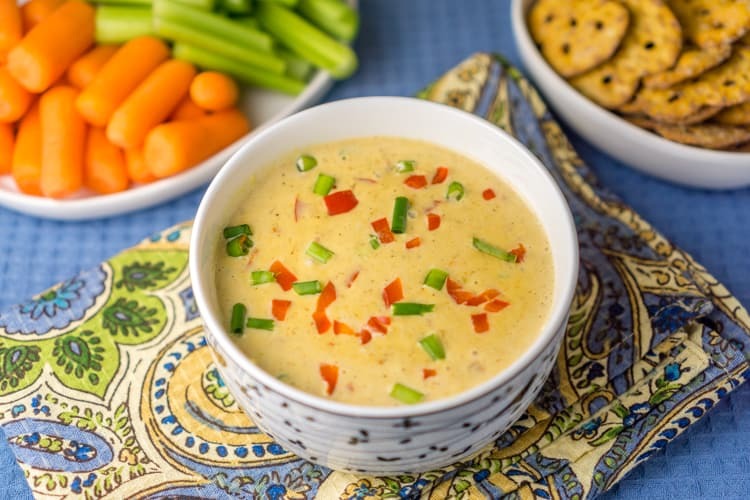 Quick, easy and delicious, this is a perfect recipe for a yummy snack Kate! So glad that you guys had a great time in Croatia and Slovenia! Sounds like they’re really beautiful places to visit. Ugh. I’m drooling all over the place. This looks so gooey and delicious and kind of like I need to make one right now. YUM!